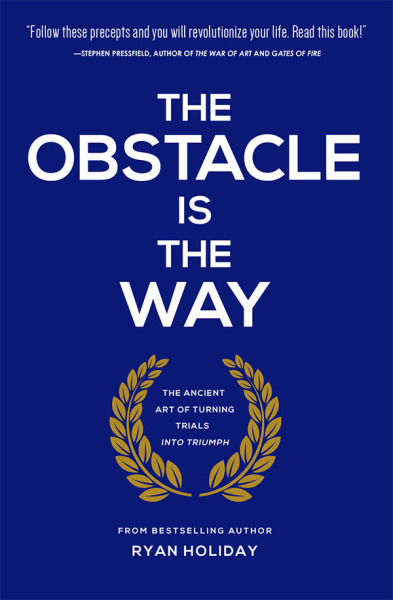 The Obstacle is the Way is the third book published by Ryan Holiday, the 27-year old marketing guru who was famously the Director of Marketing for American Apparel. It's loosely based on Roman stoic philosophy, and features a lot of quotes and ideas from figures like Seneca, Epictetus, and Marcus Aurelius. One of the defining qualities of stoicism, which emerged in 3rd century BC, is that perspective defines reality. True sages, according to the stoics, are invulnerable to bad fortune because virtue is sufficient for happiness. Stoicism teaches that the key to overcoming destructive emotions is fortitude and self-control, leading to what's called "stoic calm". "The impediment to action advances action. What stands in the way becomes the way." The CEO is creating an exercise in hindsight, except it's in advance. 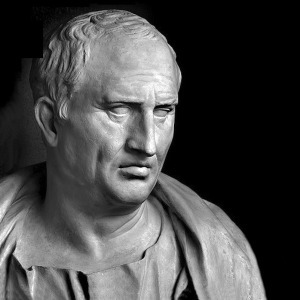 The technique of the premortem was designed by psychology Gary Klein, but the idea was founded by the stoics thousand of years ago. Today it's used by startups and Fortune 500 businesses. Thinking about problems in unconventional methods such as this often quickly reveal oft-missed problems or challenges. This is just one described in the book. "Marcus Aurelius truly saw each and every obstacles as an opportunity to practice some virtue: patience, courage, humility, resourcefulness, reason, justice, and creativity." "Every obstacle is unique to each of us. But the responses they elicit are the same: Fear. Frustration. Confusion. Helplessness. Depression. Anger." "An employee in your company makes a careless mistake that costs you business. This can be exactly what you spend so much time and effort trying to avoid. Or, with a shift in perception, it can be exactly what you were looking for— the chance to pierce through defenses and teach a lesson that can be learned only by experience. A mistake becomes training. Again, the event is the same: Someone messed up. But the evaluation and the outcome are different. With one approach you took advantage; with the other you succumbed to anger or fear." "You always planned to do something. Write a screenplay. Travel. Start a business. Approach a possible mentor. Launch a movement. Well, now something has happened— some disruptive event like a failure or an accident or a tragedy. Use it. Perhaps you’re stuck in bed recovering . Well, now you have time to write . Perhaps your emotions are overwhelming and painful, turn it into material. You lost your job or a relationship? That’s awful, but now you can travel unencumbered. You’re having a problem? Now you know exactly what to approach that mentor about. Seize this moment to deploy the plan that has long sat dormant in your head. Every chemical reaction requires a catalyst. Let this be yours." "A decade earlier, a century earlier, a millennium earlier, someone just like you stood right where you are and felt very similar things, struggling with the very same thoughts. They had no idea that you would exist, but you know that they did. And a century from now, someone will be in your exact same position, once more. Embrace this power, this sense of being part of a larger whole. It is an exhilarating thought. Let it envelop you. We’re all just humans, doing the best we can. We’re all just trying to survive, and in the process, inch the world forward a little bit. Help your fellow humans thrive and survive, contribute your little bit to the universe before it swallows you up, and be happy with that. Lend a hand to others. Be strong for them, and it will make you stronger." This book is a very good introduction to stoic philosophy and how to re-contextualize the challenges that we are all constantly facing. The way in which we look at these challenges, and all things in life, defines their very nature, so the value and impact that learning to think of challenges in this way cannot be overstated. Due to the writing style of this book, which reads like very many short but profound statements, it became slightly exhausting by the end. Most of the concepts are simple to understand, but difficult to develop into innate features of our psyche. But it's as much a worthy pursuit as anything.